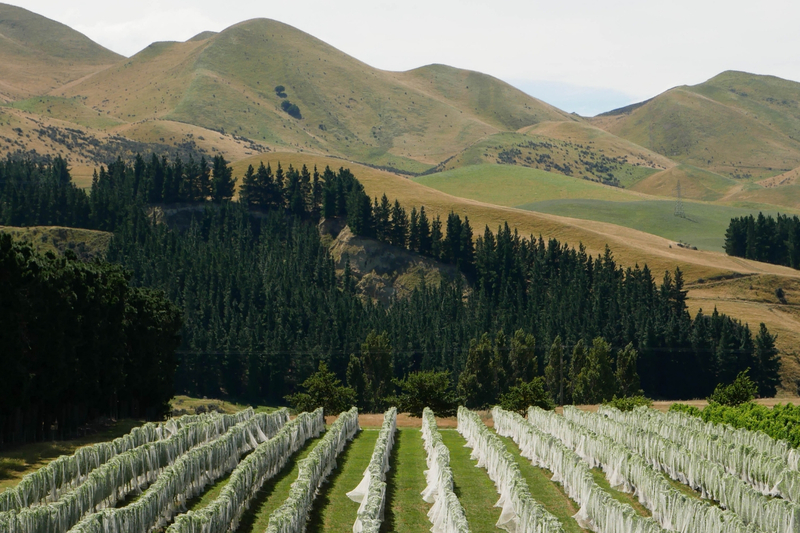 The Boneline is the story of three families (and two dogs, a couple of pigs, and a family of magpies… but more on that later) who came together to plant a vineyard along the Waipara River in 1990. The Tutton, Sienko and Hill families, joined together in love and marriage, decided to plant about 10 kilometers from an exposed section of the K-T Boundary line – a thin, dark line found in layers of sediment, thought to be caused by asteroids which hit the earth 65 million years ago, wiping out the dinosaurs. In 2014, 24 years after vines were first planted, the Boneline brand was introduced (it had been running as Tutton Sienko & Hill beforehand). It’s designed as a way to tell the story of the soils the grapes are grown in, and to represent the family connection and appreciation of the land. 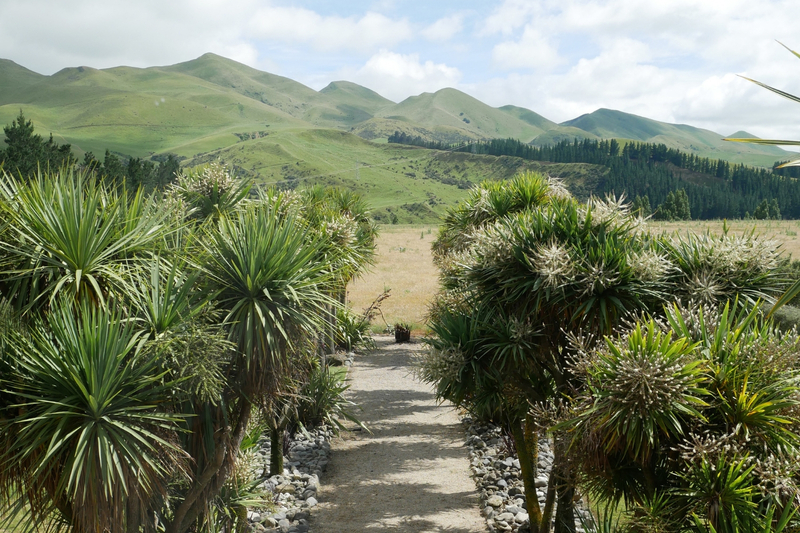 It’s a reference to the Waipara River, which washes fossils onto the property and its surrounds (each varietal has a different fossil on the bottle), and diversifies the property’s soil profiles. All the wine the Boneline produces is made from grapes grown on the property. The vineyard staff, led by Lindsay Hill and Garry Quinn, work the site all year, tending chardonnay, sauvignon blanc, riesling, pinot noir, cabernet franc, merlot, and cabernet sauvignon grapes. It’s tough work, so the team unwind on Wednesdays over a few wines, jamming out classics under the stage name The Boneline Sympathy Orchestra (no typo!). Vic Tutton, Paul Goodege, Jade McCormick and Brittany Duval make up the winery team. The rest of the Boneline family made up of two giant schnauzers (Sid and Miss Little), a ginger kitten, two kunekune pigs (Ginger and Betty), a self-tamed magpie family of seven, quail, blue herons, kingfishers, bellbirds, owls, and rabbits who all share the home garden happily. 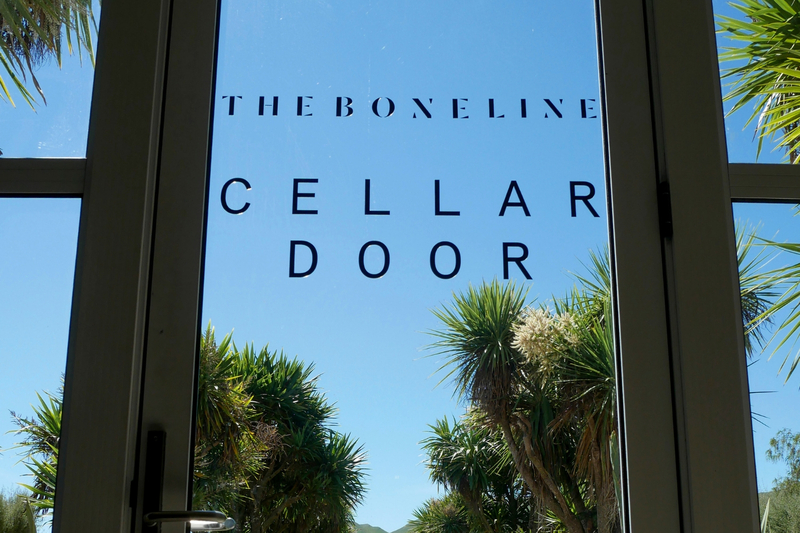 If you want to visit the Boneline, the cellar door is open seven days a week for you to visit. You can also find them in person at the Lyttelton Farmers’ Market. If the Boneline Waimanu Pinot was a musician I think it would be Hidden Orchestra. A project by producer Joe Acheson described as Dark orchestral textures, with field recordings, bass, and layers of drums and percussion. The field recordings focus on nature including bird calls, sticks crunching and all sorts of organic sounds that you can’t quite pick, mixed with musicians and instruments then composed in the studio. The music still has an upbeat vibe and you could dance to it. During vintage we listen to quite a bit of New Zealand music like Broods, The Naked and Famous – Purity Ring gets played quite a bit – and lots of timeless indie throwbacks – maybe some Two Door Cinema Club. We like to play non-offensive, upbeat music that everyone can enjoy. There’s a diverse range of musical tastes amongst us all – from trap to rock and metal listeners, but what comes out of the speakers during vintage I think is a happy intermediate for everyone and it’s great! At home under our grapevine pergola, surrounded by NZ native flaxes and beech trees in the garden – after unpacking from the Lyttleton Farmers’ Market on a Saturday. At this point in the day we’re always happy to have a pinot or two, as we’ve been watching everyone else enjoy it so it feels like a good way to wind the day down and remind yourself of why we put in all the work.